Conspiracies, Myths and Legends - Everything is true. A real-world, modern-day MMO reaching into legends and myths that unravels as the player progresses. No Classes, No levels - Be who you want to be, and play how you want to play. Hundreds of abilities and powers are available as you evolve your character without traditional level or class restraints. Join a Secret Society and fight in the Secret War with thousands of other players. As a member of the Illuminati, the Dragon or the Templars - fight together against the rising tide of darkness or battle against other players in massive PvP warzones. Epic storyline and missions. Unravel mysteries and conspiracies in one of the most engrossing stories ever told in an MMO, told through groundbreaking mission gameplay and overarching storyline. Incredible graphics. Enjoy ground-breaking graphics as The Secret World sets new standards for MMO visuals. The Secret World is a MMORPG (Massively Multiplayer Online Role-Playing Game) set in a modern Earth environment, but incorporating a wealth of mythological, magic-based and urban legend elements into its action. Gameplay revolves around the struggle of good vs. evil, and is designed for in-depth and enjoyable play for all players, dispensing with traditional RPG levels and character classes. It instead utilizes a skill-based system for character building. Additional features include, a blend of real-life and imagined locations, a variety of secret societies to join, thousands of weapons and powers, and so on. Imagine if every myth, conspiracy theory and urban legend was true. Imagine a world where vampires hunt for mortal blood in dingy London nightclubs, where werewolves lurk in the sewers beneath Seoul, and where the undead prey on the living in the shadows of New York City. Imagine a world where you can become anything you want to be, without restrictions such as classes or levels. This is the premise for The Secret World, Funcom's Massively Multiplayer Online RPG set in the modern-day real world. Imagine a world where entire governments are swayed by the hidden hand and word of secret societies. In The Secret World you get to join these secret societies. The Illuminati, the Dragon and the Templars - each stand united in their war against the rising darkness, but divided in their pursuit for power. What secret society you choose to join will have profound, long-lasting effects on your gameplay experience. Posts from the The Secret World Category at Massively Final Fantasy XIV is due for a cataclysmic revamp and reboot in just a few short months, so what better time to feature it than now? Massively reader Cyndair emailed ... The Secret World - GameSpot.com The Secret World trailers, reviews, release dates, news, screenshots, walkthroughs, cheats, and more on GameSpot. 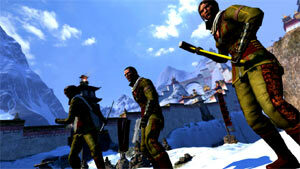 The Secret World Forums - Powered by vBulletin Welcome to the The Secret World Forums. If this is your first visit, be sure to check out the FAQ by clicking the link above. You may have to register before you can ... Secret World Wildlife Rescue - rescue, rehabilitation and eventual ... Secret World Wildlife Rescue specialises in the rescue, rehabilitation and eventual release of orphaned and injured wild creatures. It is run entirely on donations ... funcom.com Games The Secret World This is the premise for The Secret World, Funcom's massively multiplayer online game set in the modern-day real world. The Secret World - Wikipedia, the free encyclopedia The Secret World is a dark fantasy massively multiplayer online role-playing video game set in the "modern day real world" by developer Funcom. 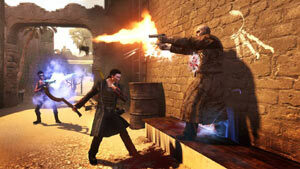 Ragnar Trnquist is ... GameSpot Beta :: The Secret World - Video Game Reviews & News ... Check out GameSpot's The Secret World Beta Key Giveaway The Secret World - EA Games The Secret World is a massively multiplayer online world with a unique modern-day setting and unparalleled freedom of character progression. 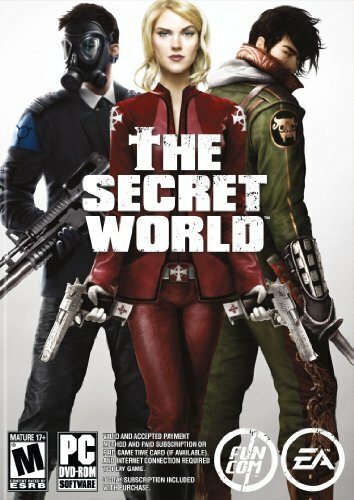 The Secret World The Secret World is a revolutionary modern-day MMO developed by Funcom. Now available for purchase! BBC Radio 4 - The Secret World The Sun's new Ombudsman, Channel 4's Drugs Live, and a broadband levy to save newspapers. Anda baru saja membaca artikel yang berkategori MMO dengan judul The Secret World. Anda bisa bookmark halaman ini dengan URL http://newhardwaresoftware.blogspot.com/2012/10/the-secret-world.html. Terima kasih!